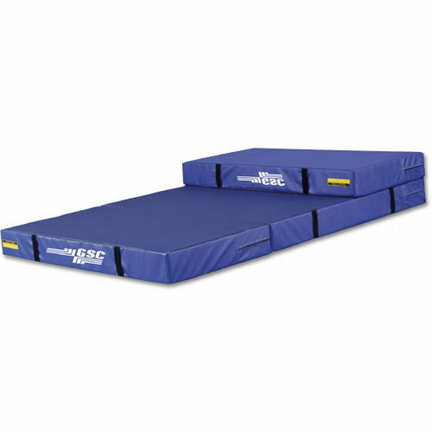 You are now located in Gymnastics category which contains other subcategories listed bellow. 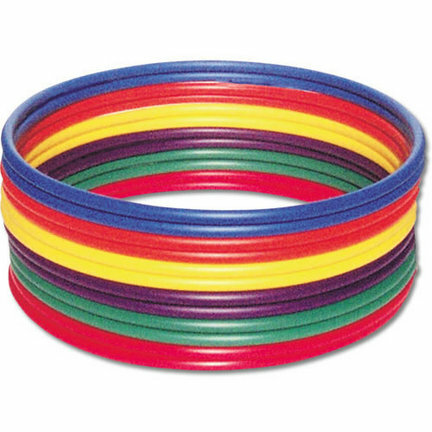 So if you wanted to buy Gymnastics than select from other subcategories bellow. 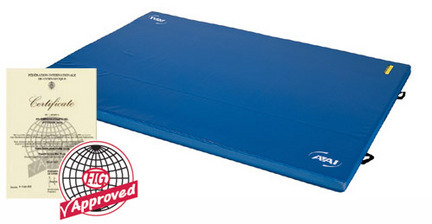 8' x 15' x 4" (2.4m x 4.5m x 10cm) Lined (95cm - 150cm) FIG Approved Throw Mat from American Athletic, Inc.
1 3/8" Red Foam Bonded Floor Exercise Carpet Roll from American Athletic, Inc.
8' x 15.5' x 8" (2.4m x 4.7m x 20cm) Sting Competition Landing Mat from American Athletic, Inc.
1 3/8" (35mm) foam backed carpet system. 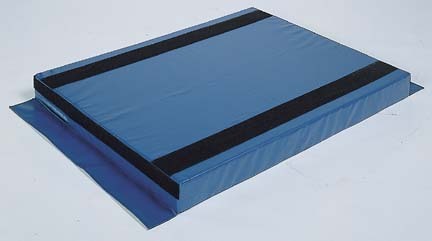 Includes seven (7) rolls of 15 yards blue 4" velcro® and 2" white border velcro® package. 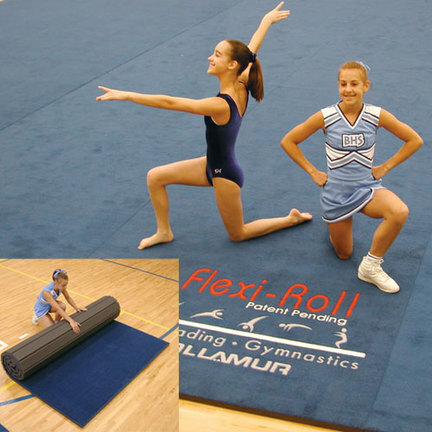 A lightweight, resilient, portable, and long lasting floor exercise surface.Blue carpet surfaceCross-linked polyethylene foam provides superior resiliencyCarpet and foam are permanently bonded, eliminating carpet wrinklingEach roll includes 15 yards of 4" blue Velcro®Quality equipment your athletes deserve. 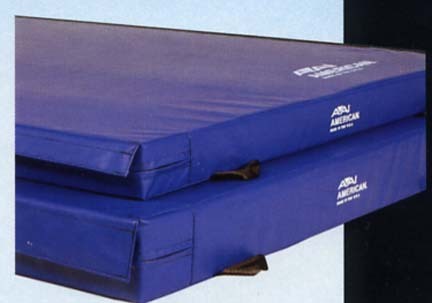 Since 1954.As an official supplier of gymnastics equipment to USA Gymnastics, AAI is proud of its continuing commitment to the development of gymnastics through participation in hundreds of National, State, Regional and local events affiliated with the USAG. 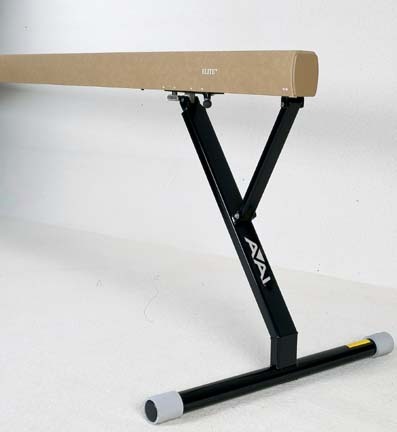 AAI is the longest running partner in USAG's history.Warning: American Athletic, Inc. apparatus is designed to site on a hard flat surface such as concrete, wood, or urethane flooring, when in use. 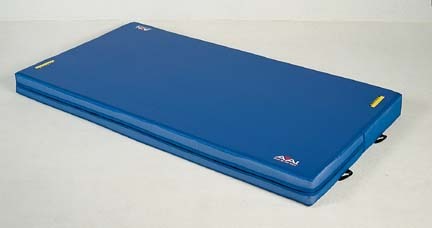 Placing any apparatus on top of matting, including base foam, can destabilize or alter the intended performance of the apparatus potentially resulting in catastrophic injury to the user.Gymnastic apparatus, accessories, and mats are designed using materials that will wear with use over time. 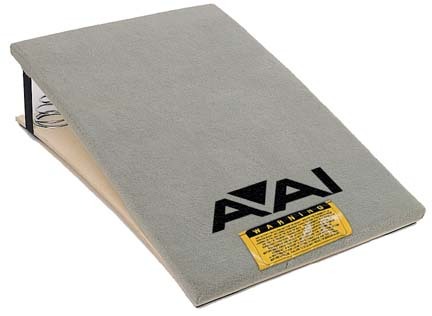 All connection and component parts should be inspected before each use and replaced with the first sign of wear. 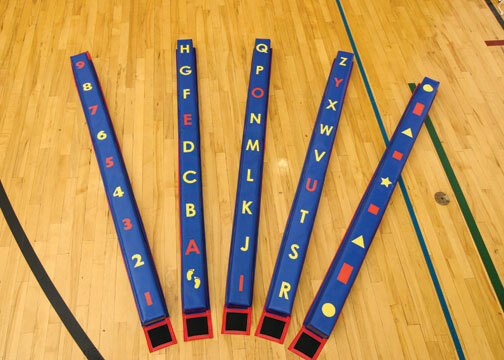 Neglect or failure to do so could result in injury, or worse.The set-up, teardown, adjustment, or use of any piece of apparatus or mat, should only be done by, or under the supervision of a qualified instructor or coach. 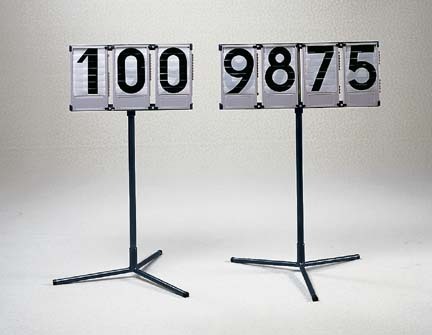 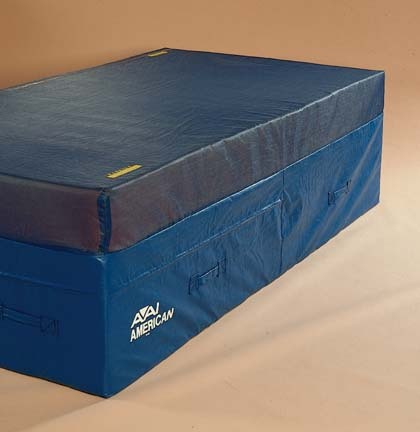 Stratum Firm 8-Coil Vaulting Board from American Athletic, Inc. 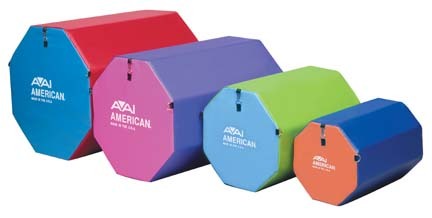 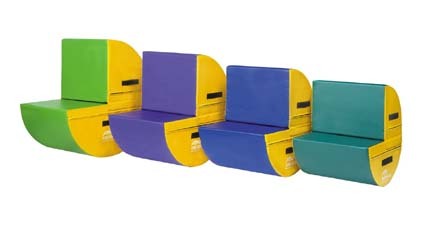 This premium vault board uses the latest technology.FIG ApprovedMeets USAG, NCAA, NFHS and AAU competition specificationsFront of the board is held at the desired tension and shape with nylon webbing strap, which prevents shiftingNumber of springs can be adjusted to meet the needs of the gymnast’s weight and abilityConstructed of gray carpet with 1/2" paddingBlack oxide springs provide desired rebound47 1/4" x 23 5/8" x 8 5/8" (120 x 60 x 22cm)To see the Soft 6-Coil Vault Board, click here.